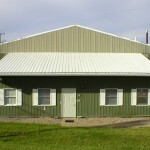 Elastomeric Roof Coatings are a thick, high solids high-grade elastomeric coating. Elastomeric roof coating has elastic properties, and these elastomeric coatings are high temperature resistance. Elastomeric roof coatings can stretch in the summer time heat and then return to their original shape without damage. Elastomeric roof coatings usually contain polymeric materials, which make them opaque and reflective. Elastomeric roof coatings are applied thicker than paint. 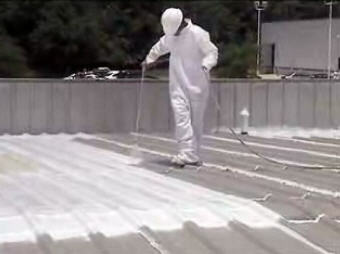 These elastomeric roof coatings are used for roof leaks repair. An elastomeric roof coating seal roof leaks, saves and extends the life of old roofs. Elastomeric roof coatings are an excellent choice for roof leaks repair. All elastomeric roof coatings are not created equal. 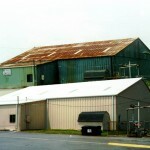 Companies of elastomeric roof coatings try to distinguish themselves from their competitors through various techniques, most notably from the Product Data Sheet. Elastomeric roof coatings are white with reflectivity of 90-98% to drastically reduce the roof temperature from as much as 12 degree F. It has remarkable adhesion to almost any surface including rolled roofing. This liquid elastic coating and sealant flows easily into cracks and crevices and dries to completely seal roof leaks. Maximum-Stretch, along with Super Elasto-Barrier and roof fabric can be formed into a roof system to form a new roof over the old roof and substantially extend the life of the roof by many years. Maximum-Stretch roof coating resists cracking and drastically reduces the expansion and contraction that tears roofs apart. It has been developed for cold and wet weather and formulated to resist fungus, mold and mildew. It is potable water compliant. Maximum-Stretch cleans up with water, contains no solvents and is easy to use. A prudent elastomeric roof coatings selection requires three input factors. First, the consultant, specifier or contractor should have a detailed understanding of the roof to be coated, its substrate, quality and structural dynamics and the expectations of the elastomeric coating. Second, the Product Data Sheet for the elastomeric coatings should contain meaningful and scientifically accurate values for the product that correspond to some facet of the real world demands on the coating. Finally, after reading all these instructions, the decision-maker should also be able to ask incisive questions to fully differentiate and distinguish the client’s elastomeric roof coatings considered best for the roofing job. Elastomeric roof coatings are ideal for metal roof repair, concrete roof repair, mobile homes roof repair, RV roof repair, rubber roof repair, liquid roof repair etc. Elastomeric Roof Coatings provide truly amazing adhesion – it must be destroyed in order to remove it, and destroying it is not an easy job! Proper elstomeric roof coatings selection begins with understanding the expectations of the elastomeric coating in service and this is often site specific. Will the coating be used purely for aesthetic purposes or will it be required to provide some functional properties? How mechanically sound is the roof substrate for coating? How long will the coating be expected to perform? Is solar reflectivity important? How much standing water is on the roof? 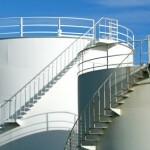 Elastomeric Coatings are usually priced as cost per wet gallon. However, they are applied to a specific dry film thickness. The important parameter to understand here is volume solids. Do not confuse this with weight solids. This is a measure of the volume percent dry coating contained in a gallon of wet coating. Simply put a roof coating at 50% volume solids selling for $20 per gallon provide the same dry film thickness and coverage as a 25% volume solids coating selling at $10 per gallon. Thus, the cost differential per gallon does not alter the material cost for the job. 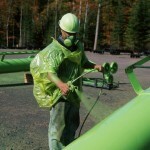 However, a higher volume solids coating may save in labor costs if the same mil thickness is achieved with fewer gallons. Let’s define elastomeric roof coatings’ durability as how well the elastomeric coating resists weathering, especially sunlight. ASTM methods such as G-26 are used to artificially accelerate weathering. This is a method rather than a specification, which means it describes how to conduct a test but does not list minimum values or standards. Reported values are typically after X thousand hours without cracking. The real test of durability is what is the history of that particular elastomeric roof coating over the substrate and location for the pending job? More in-depth questions are “What is the history of the raw materials?” and specifically the polymer used in the coating. Newer is not necessarily better! The polymer is required to provide the adhesive (stick to the substrate and hold the pigments together) and cohesive (provide elongation and tensile strength) properties. It should have been thoroughly tested, based on years of actual exterior durability. Superior flexibility; bridges hairline cracks, resists freeze-thaw cycling. Acrylic and silicone-enhanced formulations; provide outstanding performance benefits. Superior weather resistance, UV resistance, resistant to mold and mildew, aggressive gases and carbon dioxide. Available in a wide range of colors including custom tint.